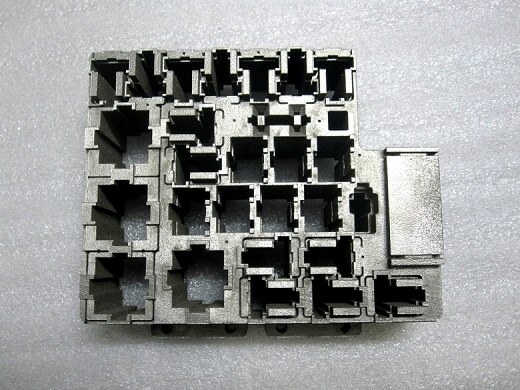 Powder-bed fusion technology used for additive manufacturing of metals use materials in a powdered form. Fine crystals of the metal powder are spread in layers across the build platform. A special laser traces the required geometry for each layer and melts the powdered crystals. As the layer cools down, the current layer and the previous layer are bind together. This process is repeated again and again till the entire object is formed. DMLS, SLM, EBM and DED are the most common technologies used to additively manufacture metal parts. The powder used in these processes is extremely fine and the size ranges from 10 to 50 microns. 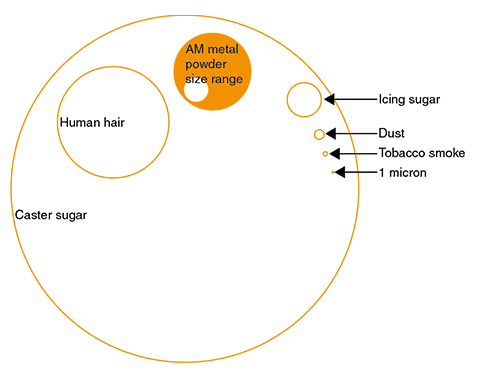 The powdered materials used in metal additive manufacturing are most commonly manufactured by numerous atomisation processes. Let us have a look at some of the common materials used in metal additive manufacturing. Steels are the most commonly materials used in metal additive manufacturing. Steels can be divided into three types, namely Stainless steels, Tool steel and Maraging steel. Stainless steels provide high corrosion resistance, they have high rust, wear and abrasion resistance. Therefore stainless steels are most commonly used in manufacturing of surgical instruments or even in applications requiring chemical resistance. Tool Steels display excessive hardness with deformation resistance. They have the ability to maintain a sharp cutting edge. Due to these properties they are most commonly used in making tools and moulds for injection moulding applications. Unlike other steels, maraging steels are uniquely malleable while maintaining their strength and toughness. This helps in machining the maraging steel parts even after they are 3D printed. As a result, maraging steel is used for series-production parts, tooling and in aerospace industry applications. A variety of Cobalt-Chromium alloys are used in metal additive manufacturing. Cobalt-chromium alloys offer high temperature, strength, and corrosion resistance. Cobalt is used to manufacture heavy cutting tools or even gas turbine components in combination with other materials. General applications of Cobalt-chromium alloys encompass biomedical applications, series-production parts, and functional prototypes. Inconel 625 and Inconel 718 are some of the nickel based materials used in metal additive manufacturing. Both these materials are made from a combination of Nickel and Chromium. Nickel-based super alloys exhibit oxidation and corrosion resistance, they show heat resistance and also maintain high strength at extreme temperatures upto 1200oC. 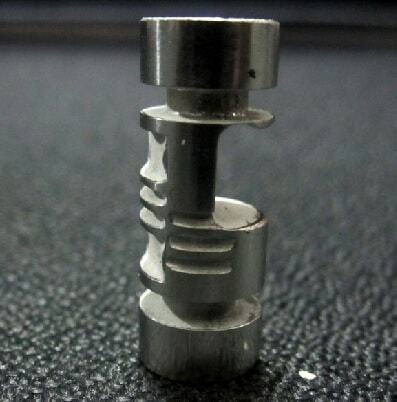 3D printed nickel can be welded and post-processed with relative ease and as a result it is widely used in aerospace and motorsport industry applications. Aluminium is widely used in numerous industries. It has excellent attributes which offer greater flexibility and advantage for the user. 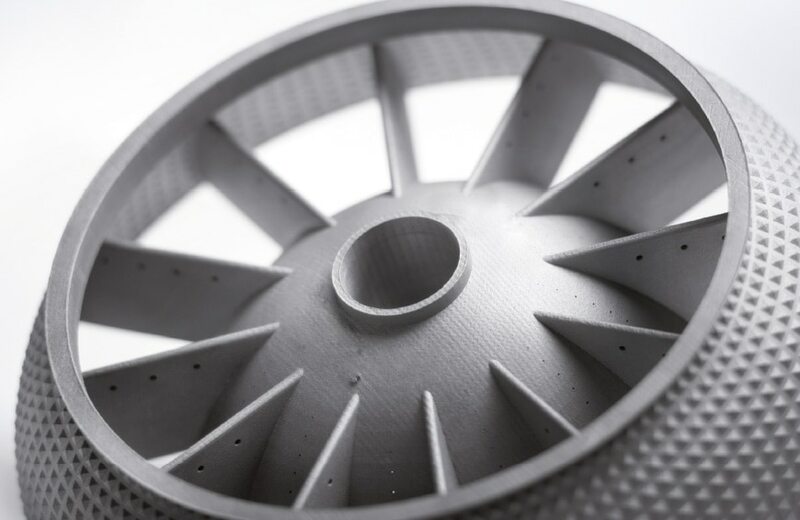 With additive manufacturing, the material can only be used in an enhanced way. With AM capability to produce complex shapes of structures the material usage is reduced and the weight is further reduced by using lightweight aluminium. The powdered aluminium is nearly as strong as its wrought aluminium alloys. They exhibit faster build rates and show phenomenal fusion characteristics which deem them appropriate for 3D printing. With further specialised materials being manufactured, the usage of aluminium will continue to grow. The major applications of aluminium alloys are in the aerospace and motorsport industries. Pure copper is difficult to work with and as a result it has found limited applications in additive manufacturing. As the copper has td into particles the added effort sometimes makes it unreasonable for usage. However, it has excellent heat conductivity and this enables it to be used in moulds to cool the tool inserts. Titanium is often regarded as a marvel material due to the superior properties it displays. Various forms of titanium alloys are used in additive manufacturing and some of them are Ti6Al4V alloy, Ti64ELI & TiCP grade 2. Of these Ti6Al4V is the most widely used material. Titanium exhibits high-strength to weight ratio, high corrosion resistance, it can be welded and heat treated to increase its strength, it remains stable at elevated temperatures of up to 600oC. Ti6Al4V & Ti64ELI are most widely used in aerospace, motorsports, medical and marine industries. TiCP grade 2 is a commercially pure titanium and it can be machined, shot-peened and polished and heat treated. The material is lightweight and shows excellent mechanical properties. It is biocompatible and hence majorly used in medical implants. Precious metals like gold, silver and platinum can also be additively manufactured. Though they are used on an extremely small scale but some companies do make use of these materials. The precious materials exhibit properties like ductility and conductivity. These shiny materials are only used for jewellery and other artistic applications.